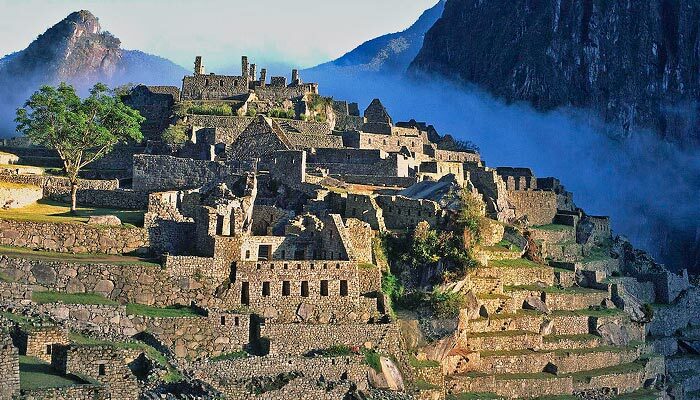 The Imperial city of Cusco has a hotel offer few cities of its size can compete with; large hotel chains, small luxury boutique hotels, colonial or modern style hotels and a wide range of the famous party hostels; in Cusco you will find it all. 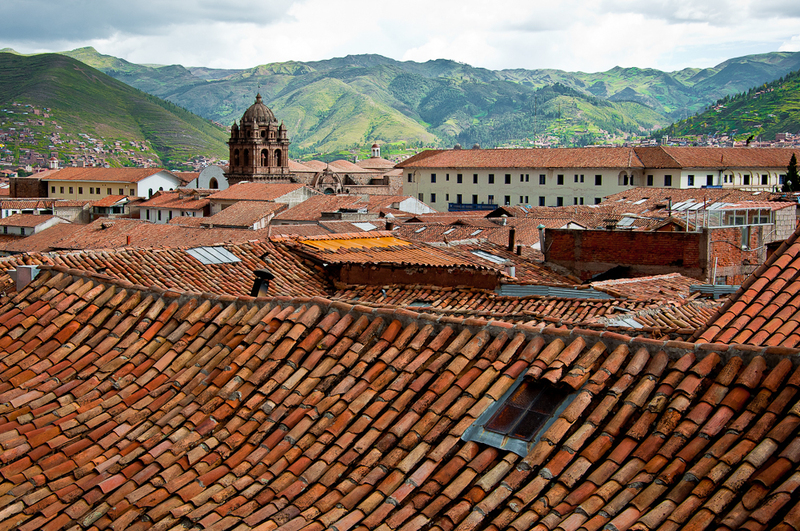 For us some of the main characters to look for when considering hotels in Cusco are the location and heating. 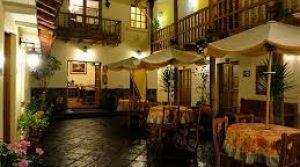 With the altitude in Cusco it is nice if you have a hotel which is centrally located and does not require too much ascending in order to reach your hotel. Secondly heating or acclimatization of the rooms is important as well. 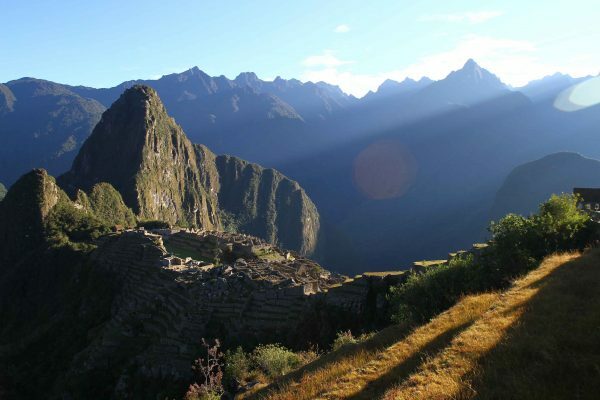 Cusco can have very high temperature fluctuations between the day and night time meaning that being able to control the room temperature is a plus. It is also worth mentioning that all hotels we use for our travelers provide oxygen if necessary at the reception. A handful of high end hotels can (optionally) pump oxygen in the room. 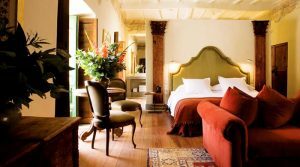 Following you can find some of our preferred hotels in Cusco with these features. This list is of course far from complete so feel free to ask us for other recommendations as well. 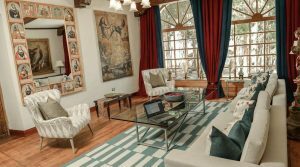 Located next to the Plaza Recojios this beautiful boutique hotel is decorated with colonial art and provides a warm, cozy place for its guests to enjoy whilst in Cusco. If weather allows, in the morning you can enjoy your breakfast on the outdoor patio. Some of the rooms have sitting areas as well as bathrooms with Jacuzzi. 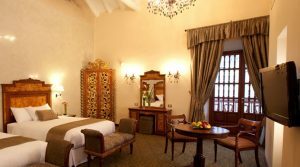 This hotel is housed in one of the oldest colonial houses in Cusco and is a great exclusive luxury option for Cusco. This renowned Relais & Chateaux property has been restored to its former glory and provides amazing rooms and common areas. The central patio is a beautiful place to unwind after your day of exploration. This hotel is one of two Belmond properties in town and the most luxurious one. 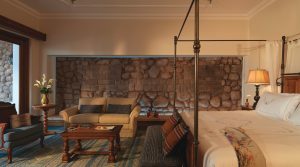 Located on the square with the same name, this old monastery has been renovated and decorated for years and nowadays provides one of the finest luxury hotels in Peru. The hotel provides a Spa and heated outdoor pool as well as a gourmet restaurant. The hotel is located in an old hacienda supposedly once inhabited by Simon Bolivar and later by Ernesto Che Guevara. The hacienda surrounded by nice gardens provide great views of Cusco and the valley surrounding it. 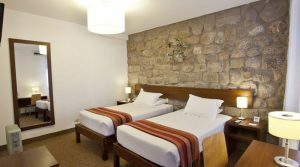 Nicely decorated boutique rooms, some with private balcony make sure, you will make the most of your stay in Cusco. 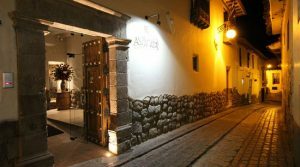 This 4* hotel is located on Cusco’s main street close to all mayor attractions. 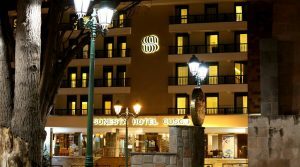 Housed in what used to be the Savoy Hotel Cusco, the Sonesta Hotel provides all superior amenities one may need during its stay in Cusco. Located just two blocks from the Plaza de Armas this hotel provides a great central option. 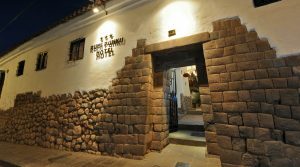 The hotel is housed in what used to be the Picoaga Mansion in Cusco and provides a hotel with both a colonial as contemporary wing connected by a beautiful patio. 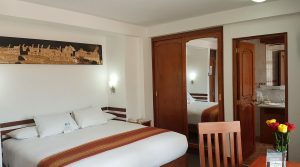 This good quality 3* hotel is located in the center of Cusco a couple of blocks from the main square and San Pedro Market. The hotel has two beautiful patios with the spacious rooms around these two patios. Rumi Punku means Stone Doorway and this how you will recognize the hotel. The entrance is one of only three actual Inca doorways still standing in Cusco and makes for a nice entrance to the internal patios of the hotel. Colonial touches with typical decoration and an excellent location make this one of our favorite 3* hotels. 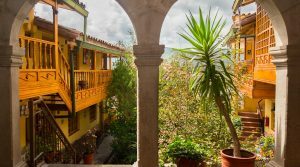 Located in the bohemian neighborhood of San Blas, surrounded by small cobblestone streets, this hotel provides boutique and warm rooms decorated with a local style. A nice patio invites to spend some time around the fireplace reading a book and unwind from your days in Cusco. With a great location just off the Plaza de Armas, the Midori Hotel is one of our budget favorites. 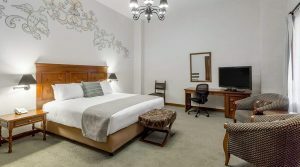 Spacious, classic rooms with a personal and friendly service. This recently renovated budget option provides simple, clean and bright rooms. Some of the rooms provide great views of the city meanwhile other have a more colonial style. Located just two blocks from the main square. The simple, cozy Amaru Hotel is one of the longer standing budget options and provide a colonial style hotel with a great location. Tranquil gardens allow you to unwind and enjoy the sun.